There are several things certain in life such as taxes, death...and people messing it up for everybody else. In a controversy that could cost both sites millions in users and profits, DraftKings and FanDuel are at the center of a cheating scandal involving an employee. On Monday in what seems reminiscent from the "Wolf of Wall Street" and not fantasy sports, the two rival companies were forced to release statements defending their businesses’ integrity after allegations of gaming insider trading, with employees allegedly placing bets on information not available to the public. Last week, a DraftKings employee admitted to inadvertently releasing data before the start of the third week of N.F.L. games, a move akin to insider trading in the stock market. The employee — a midlevel content manager — won $350,000 at rival site FanDuel that same week. 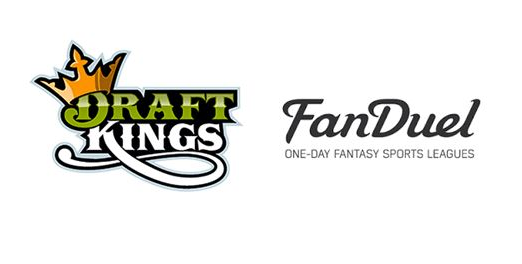 DraftKings and FanDuel both have set up online daily and weekly games in which fans pay an entry fee to a website, anywhere from 25 cents to $1,000, to play hundreds of opponents with prize pools that can pay $2 million to the winner. Complaints from participants make it clear that players never get anywhere near $2 million, when some only receive $2 on occasion. Now you’re adding on the controversy of company employees trading secrets and collecting winnings on the other companies site can’t be good for business.